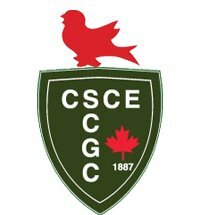 The Canadian Society for Civil Engineering (CSCE) is a national professional society whose membership is consisted of practicing civil engineers, corporations, professors, and students like you. The society promotes professional development, exchange of knowledge, public awareness, and networking in the field of Civil Engineering. CSCE McGill Chapter connects students to the professional engineering world through construction site tours, guest speakers, industry tours and seminars. Membership is free! The goal of CSCE is to link the theoretical knowledge gained in the classroom to the outside world. See how a foundation is laid, how a power generation plant works, how a site is renovated and much much more! Exposing civil engineering students to the working environment, professional engineers and to important civil engineering projects. Action Plan: Organize fields trips to civil engineering projects, either construction sites or finished projects. Host seminars by professionals whose work is related to civil engineering. Assessment: Continuous efforts are being made by the student chapter to ensure we continue organizing quality tours that are of interest to the civil engineering students of McGill. We are continuously thinking of new ideas for guided tours and for seminars. We believe that this goal was met this year as we were able to host a variety of events under various civil engineering disciplines. Follow-up Plan: As was done in past years, we have continued to prepare an on-going document containing all of the contacts we have made through organizing events so as to aid future councils. This way they will have a list of Montreal engineers who are interested in our student chapter and are willing to assist us. This should help to make event organization easier. Representing all types of civil engineering (structural, transportation, geotechnical etc.) in our tours and events. Action Plan: One of the main challenges we face over the years is that most tours and events that CSCE McGill organizes are in the area of structural engineering. This happens for an assortment of reasons including the fact that it is the most common area of study among our students and also because there are an abundance of structural trip opportunities in near proximity to our campus. Assessment: In our first semester, we organized a trip to the Champlain Bridge which touched on the areas of Structural and Transportation Engineering. We also organized a Speed Networking Session in which we had professionals from the Structural, Transportation and Hydrological engineering sectors. In the coming semester, we plan to host another networking session with professionals from all disciplines. We also hope to have a seminar on the topic of Transportation in Montreal. Follow-up Plan: For future councils, the value of planning a diverse range of disciplines will be passed on so that CSCE can continue to represent all McGill civil engineering students. Networking sessions with professionals, debates between professionals, construction site tours, industry tours, and socials. This page was last edited on 11 February 2019, at 13:58.